Made in the USA! 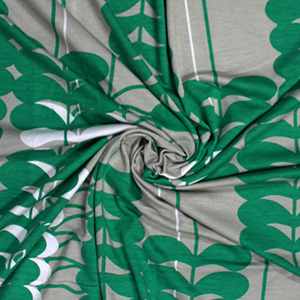 Trending mod inspired mod leaf vines design in green and white on a neutral gray background color cotton spandex rayon blend knit. 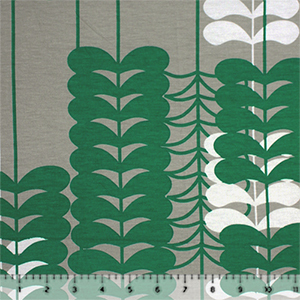 Fabric is mid weight with a soft hand and nice drape, and a 4 way stretch. See image for scale. 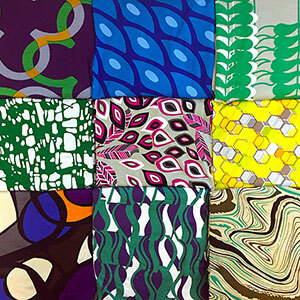 Versatile fabric great for dresses, tops, leggings, and much more!